Take I-110 south to Business District. Exit at North Street/Capitol Park (right-hand exit 1G oI-110). Follow service road and turn right at the second red light onto North Street. Proceed down North Street toward the river. Turn left onto River Road. Go 5 blocks. The museum is on the right across the street from the Old State Capitol. Take I-10 to I-110 (Business District). Exit at North Street (left-hand exit 1D oI-110). Proceed down North Street toward the river. Turn left onto River Road. Go 5 blocks. The museum is on the right across the street from the Old State Capitol. 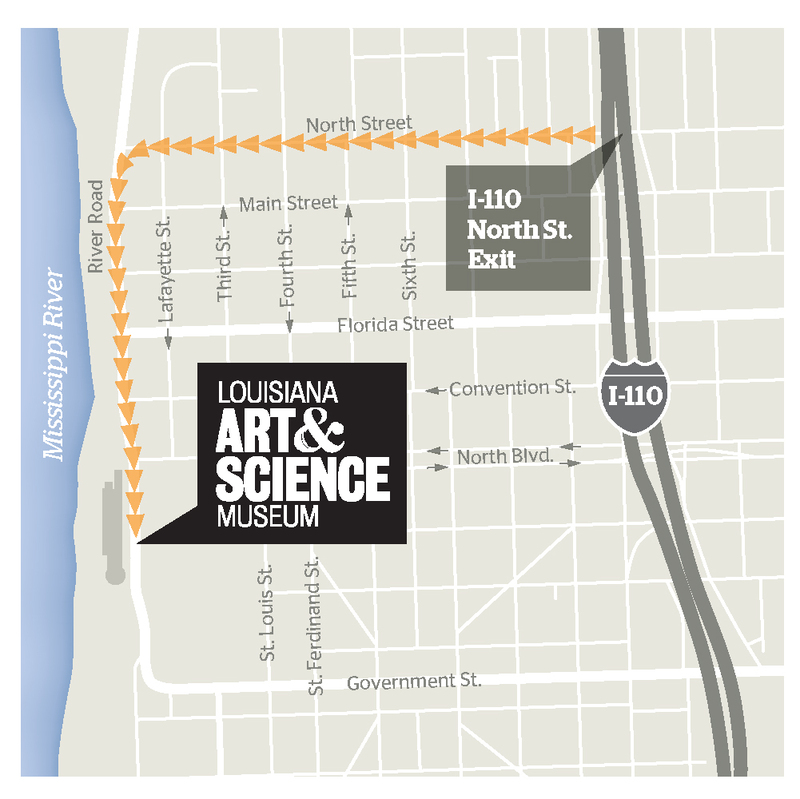 Take I-12 to I-10 to I-110 (Business District). Metered street parking is available on surrounding streets (see map). For a complete parking guide for the downtown area, please visit the Baton Rouge Downtown Development District Website. Note: Please do not park Vans in areas that are designated for bus parking. Due to limited parking, busses are required to park offsite. 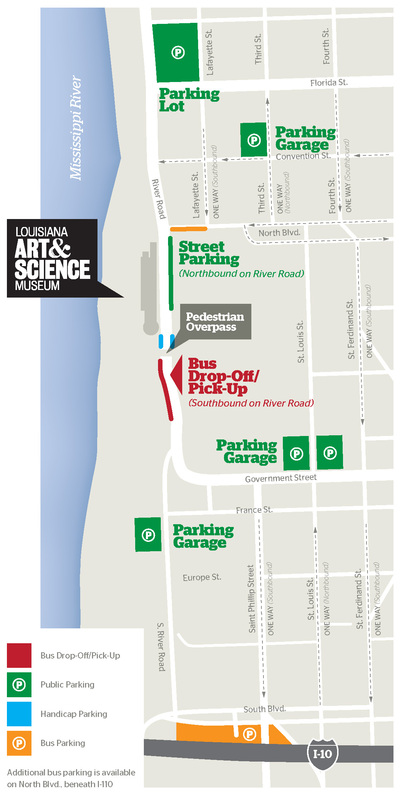 However, a safe area to drop-off and pick-up students is available near the entrance of the Art & Science Museum. Remember that parking is not permitted in this area. Do not block traffic on River Road to drop off or pick up passengers. Offsite bus parking is provided under Interstate 10 and at North Boulevard (see map). Please remember to coordinate a pickup time with your driver.